I hate to go shopping. Mostly because I don’t want to drag my four little kids around with me in the quest for the perfect dress/throw pillow/gift/etc, but also because it’s just such a hassle. Finding the right color, size, style, blah blah blah. Which is why if I need something, I’m all about online shopping. I mean, I can find exactly what I want and the goods are actually delivered right to my door. Oh yeah, that’s what I’m talking about. The reason online shopping is so popular is because instead of you spending your precious time finding the goods, the goods come to you. How is this relevant to business? YOU need to become the goods. And conveniently deliver yourself right to the front door of your ideal client. That way, all they have to do is open the door. I’m a voiceover talent who’s looking to record my voice for use in commercials, corporate and web-based videos, explainer videos, and phone systems (among others). So I need to connect with the people who create these projects. Makes sense, right? So let’s do a fun activity: we’re gonna make a list! Take a look through the information you have about your current clients and pull out the specific job titles of the people who hired you—those are the list of occupations that go on your list. Just about anywhere on LinkedIn, if you look at the top of the screen, you’ll see a search box. The default is to search “all”, but you need to go up and change the search option to “people”. Now it’s time to put in a specific job title that person might use. I’m going to keep it general for this example, so let’s input “video production”. You could also use “video producer”. 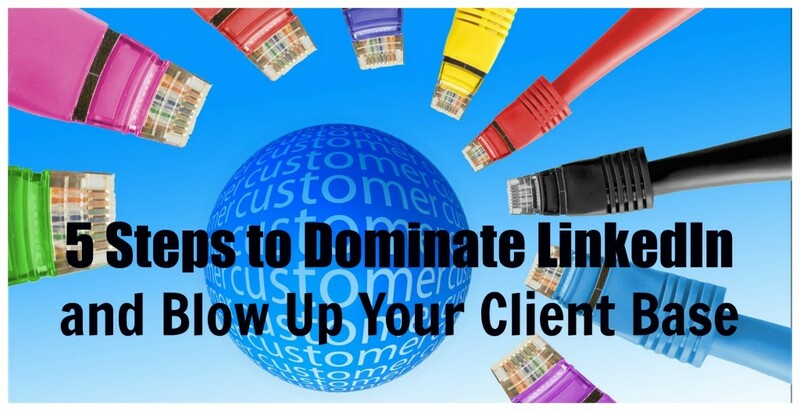 Dominate LinkedIn – STEP 4: Start clicking! I love the possibilities that come with each new click—you never know what amazing person is on the other end of that profile picture! So take a moment to click on someone’s profile, scan it looking for keywords and skills, and make sure this person’s position is relevant to the service you provide, because there’s no point in wasting your time or theirs if you can’t benefit each other. Once you qualify this person as a good lead, send them a connection request along with a brief message. Once your connection request is accepted, you should receive an email notifying you of this. You might want to check your LinkedIn settings to make sure this feature is enabled, otherwise it’s much harder to keep track of your new connections. 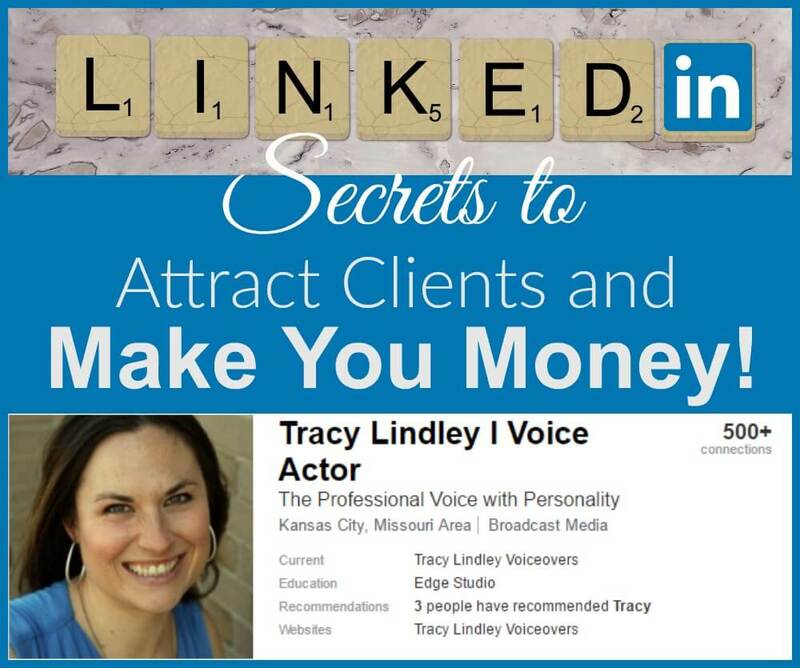 Unfortunately, there are a lot of very sparse LinkedIn profiles out there, but find out what you can about that person so that you can start to build a relationship with them. Under “contact information” you can usually find a link to their website and social media (if they’ve filled that part out), and that will give you clues about them and their work as well. Next it’s time to get started communicating with your new potential client, and how you talk to them is very important! If you like what you’re reading here and want to check out my new e-course that gives you ALL the details about how to completely optimize your profile, all kinds of search options, and every single detail on how to communicate the right way with your prospect, check it out here! 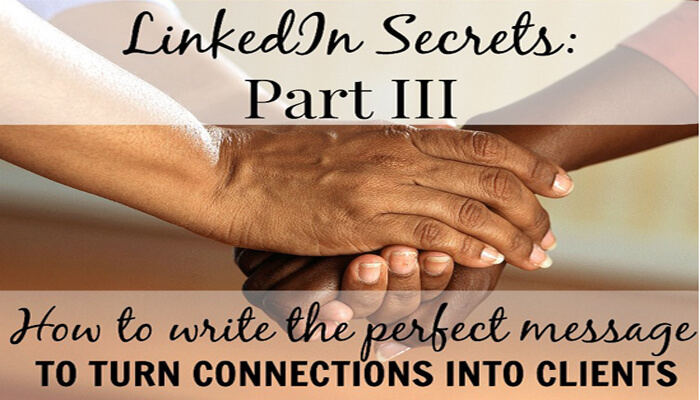 In the next blog post, I’ll share a few tips about what types of things I say in my LinkedIn messages that can start building the foundation of turning a new connection into a new client. Read on!